The What: Chief is launching a new modular, knock down rack for the AV market. The What Else: The S2 Series racks are Chief’s most versatile rack solution to date. 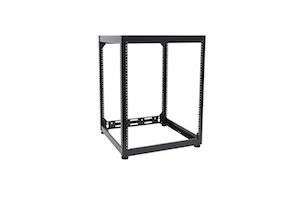 The racks can be stacked to create a tower, arranged side by side, wall mounted, freestanding, or added to furniture solutions. The racks require only four bolts and assemble in less than 10 minutes.